Human resource management (HRM) is the strategic and coherent approach to the management of an organization’s most valued assets – the people working there who individually and collectively contribute to the achievement of the objectives of the business. The terms “human resource management” and “human resources” (HR) have largely replaced the term “personnel management” as a description of the processes involved in managing people in organizations. In simple words, HRM means employing people, developing their capacities, utilizing, maintaining and compensating their services in tune with the job and organizational requirement. But these traditional expressions are becoming less common for the theoretical discipline. Sometimes even employee and industrial relations are confusingly listed as synonyms, although these normally refer to the relationship between management and workers and the behavior of workers in companies. Human Resource Management(HRM) is seen by practitioners in the field as a more innovative view of workplace management than the traditional approach. Its techniques force the managers of an enterprise to express their goals with specificity so that they can be understood and undertaken by the workforce, and to provide the resources needed for them to successfully accomplish their assignments. As such, HRM techniques, when properly practiced, are expressive of the goals and operating practices of the enterprise overall. HRM is also seen by many to have a key role in risk reduction within organizations. “A series of activities which: first enable working people and their employing organisations to agree about the objectives and nature of their working relationship and, secondly, ensures that the agreement is fulfilled”. Recognize and satisfy individual needs. Strategy of growth and shareholders value addition, risk management has been structured in line with the organizational pattern of the Bank. Bank may be exposed to risk in the form of credit, market, liquidity and operations risk. However, there is another dimension to risk matrix namely reputation risk. Risk management system of the Bank is geared to addressing financial and operational losses besides being compliant on regulatory aspects. Managements of risks involve a process through which business deals/initiatives are taken with the ultimate objective of safeguarding the capital and protecting the flow of profit generation and growth financing. The bank has put in place platforms for addressing the risk paradox. Board and its Committees – Executive Committee and Audit Committee work in tandem with the Credit Committee, Asset Liability Committee, Management Committee and the Internal Control & Compliance Division in this respect. HR planning is the first step in the Recruiting & Selection process. manpower planning stems from business plan in relation to a corporate strategy. include govt. influences economic, graphic & competitive condition. Capabilities are audited & organizational capabilities are inventoried. Source may be internal or external. Within an organization over time. Analysis, ratio analysis, and scatter plot can be used to estimate staffing needs. Trend analysis means studying variation in the firm’s employment levels over last five years. Training needs and proposed Annual Training Calendar for 2009 of NCCBL. We believe that appropriate forms of training contributes to Human Resources development and human resources can be developed by way of upgrading the job knowledge and skills. Training is essentially a planned continuous learning process & effort by management to improve employees competency levels & thus to develop individual ability to perform on the job. In-fact, the more information & education we can give to employees, the better equipped they will be to advance within the Bank. As a part of our training strategy, the HR Training Centre has prepared a training calendar for 2009 based on training needs & requirement focusing on the key areas of banking. The main target group of our training for 2009 are newly recruited officers and mid-level officers. Retail & SME Banking / Application of Technology in Banking / Foundation course for new officers / Investment Management Financing Foreign Trade / Business Communication. Recruitment is the process of discovering potential candidates for actual or anticipated organizational vacancies. Recruitment is the process of finding qualified people & encouraging them to apply for work with the organization. On the other hand, selection is the process of choosing among those who do apply. To outline the standards that are expected of new recruits to the Bank, and the processes that will be followed during recruitment and selection. The foundation for this policy is that recruitment should only occur when there is a specific business need to be met i.e. vacant post and that the selection of the appropriate candidate will be on the basis of qualification, performance, potential and aptitude. upper level posts are fulfilled by the immediate subordinates. and the lower level employees are recruited from the relatives, friends or known persons of the present employees. Sometimes the bank also gives advertisements in newspapers or on internet. But this advertisement is given for the recruitment of lower & mid level employees. In upper level the gaps are always fulfilled by the internal employees. Generally, we can classify an organization as being in one of three stages of development with respect to its HRMS .The three stagaces are discussed below. A number of Canadian companies are still operating at stage one with a basic personnel system .This bare-bones approach to an HRMS incorporate data- bases that often mix written records on file with other data elements stored on a computer database .The data maintained by this type of system focus on the following areas : 1>Employee records (e.g. individual profile ,personnel information sheet ,application form ,orientation acknowledgement ,employee agreement or contract). 2>Payroll (wage or salary , attendance and vacation entries ,and pension and benefit data). 4>Basic data required for compliance with pertinent labour legislation. Relatively few companies have evolved to the stage –three setup of a comprehensive and interactive HRMS .This type of HRMS configuration enables the HR planning staff to run future “what if” scenarios to determine the best future policy alternatives given a range of possible outcomes . In such an instance ,the computer search could select candidates who had (1)performance appraisal ratings of “above average “ or higher over the past five years , (2) successfully completed a graduate degree (preferably an MBA),and (3) a minimum of five years seniority in the organization . Shahjalal Islami Bank Limited (NCCBL) Tuesday awarded 330 poor and brilliant student’s scholarship worth around Tk 4.3 million as part of its corporate social responsibility (CSR). The bank gave 220 students passing the SSC examination in 2008 a lump scholarship of Tk 12,000 each and 110 students figuring well in the HSC examination the same year Tk 15,000 each at a function at the city’s Bangabandhu International Conference Centre. Education Minister Nurul Islam Nahid, attending the scholarship giving ceremony as the chief guest, handed over the scholarships to the students. Extolling the NCCBL’s initiative, Nahid sought cooperation of all in updating the country’s education system and implementing the projects the present government has taken in this regard. Training & Development need = Standard performance – Actual performance. We can make a distinction among training, education and development. Such distinctionenables us to acquire a better perspective about the meaning of the terms. Training, as wasstated earlier, refers to the process of imparting specific skills. Education, on the other hand, isconfined to theoretical learning in classrooms. Though training and education differ in nature and orientation, they are complementary. Anemployee, for example, who undergoes training is presumed to have had some formaleducation. Furthermore, no training programme is complete without an element of education.In fact, the distinction between training and education is getting increasingly blurrednowadays. As more and more employees are called upon to exercise judgments and to choosealternative solutions to the job problems, training programmes seek to broaden and developthe individual through education. For instance, employees in well-paid jobs and/or employeesin the service industry may be required to make independent decision regarding there workand their relationship with clients. Hence, organization must consider elements of botheducation and training while planning there training programmes. Development programs all round the year for employees of the bank to familiarize and equip them in various areas like General Banking, Credit Management, Foreign Exchange and Foreign trade, Anti-Money Laundering etc. In-house local training programs for1125 Officials of the Bank related to different functional areas of Banking while 196 officials were imparted training in Bangladesh Bank Training Academy, Bangladesh Institute of Bank Management and other institutions. 2.the needs of its people. Different individuals have their own needs and aspirations. HRM therefore involves finding out about the needs and aspirations of individual employees, for example through the appraisalprocess and then creating the opportunities within the organisation (e.g. through job enlargement) and outside the organisation (e.g. through taking up educational opportunities at local colleges/universities) for employees to improve themselves. 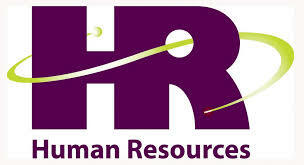 HRM therefore relates to every aspect of the way in which the organisation interacts with its people, e.g. by providing training and development opportunities, appraisal to find out about individual needs, training and development needs analysis, etc. Performance appraisal is the process by which organizations evaluate individual job performance. When it is done correctly, employees, their supervisors, the HR department, and ultimately the organization benefit by ensuring that individual efforts contribute to the strategic focus of the organization. However performance appraisals are influenced by other activities in the organization & in turn affect the organization’s success. A promotion is given every year normally 3year duration from last promotion, based on performance. Manager suggests the employee who he thinks is suitable for promotion. The employee who can mobilize deposits and help in gaining profit in the prior position. Normally transfers occur after 3years of an employee in one branch. It happens based on the employee’s performance. If an employee is very efficient and needed in a branch then he is transferred there. This is decided by HRD. Involves the bank obtaining salary information form other foreign banks in Bangladesh such as Standard Chartered, American Express. The compensation package includes a competitive salary, and progressive benefits, all designed to influence and reward personal achievement. Satisfactory completion of the probation period a basic monthly salary increment of 10% will be awarded. Furthermore, employee’s salary will be reviewed on an annual basis in April according to his/her performance and may be adjusted at the discretion of Bank. Monthly salary will be credited into staff account, which he/she opens upon joining the Bank. Salaries are paid on 25th of each month in arrears, plus other allowances less deductions such as Income Tax, contribution to Provident Fund etc. Each employee will receive a monthly pay statement detailing gross pay and deductions. The Bank awards bonuses in addition to basic salaries for occasions such as Eid, as Festival bonuses. It gives two bonuses in a year. The bonuses are equal to the basic salary. Sometimes the bank gives bonuses to the employees according to their performance. This performance is calculated of a branch as a whole. If any branches do better then all of its employees are rewarded with a bonus. evaluate the success of recruitment, selection, orientation, placement, training, and other activities. “Employees may see compensation as a return in exchange between their employer and themselves, as an entitlement for being an employee of the company, or as a reward for a job well done” (original emphases).The reward or compensation people receive for their contribution to an organization includes monetary and non-monetary components. Remuneration does not simply compensate employees for their efforts – it also has an impact on the recruitment and retention of talented people. The term ‘reward management’ covers both the strategy and the practice of pay systems. Married employees will be entitled to a medical allowance for their respective grade for their spouse & children up to the age of 19. Single employees are entitled to half of the medical allowance for their respective rank. In both cases medical expenses incurred will only be reimbursed when supported by approved medical vouchers. The employee Loan policy has been established at preferential rates to provide financial assistance to qualified & deserving employees of the bank. The bank’s policy shall be reviewed periodically. Employees will be eligible for the banks subsidized Housing Loan scheme. Car loan & sundry loan Schemes upon satisfactorily completing the required number of year’s service & achievement of performance standards. Separate policies are available for employee reference & guidance from HR/ADMIN department. Applications for loans should be sent to HRC through respective Head of departments. The CEO shall approve loan applications. The bank provides all permanent & contract employees with insurance via the Workmen’s Compensation policy. There are a number of Private Commercial Banks, Nationalized Commercial Bank’s and foreign Banks operating their activities in Bangladesh. The NCC Bank it is one of them. For the future planning and the successful operation for achieving its prime goal in this current competitive environment this report can be a helpful guideline. From the practical point of view I can declare boldly that I really have enjoyed my internship at NCC Bank from the first day. Moreover, internship program that is mandatory for my BBA program, although it is obviously helpful for my further thinking about my career. National Credit & Commerce Bank Limited, Annual Report (2008), Dhaka. Debnath, R.M (2008), Business of Banking, (2nd ed), Dhaka, Nabajuga Prokashani. Lesikar’s, R.V, et at (1999), Lesikar’s Basic Communecation (8th ed), USA, The MeGraw Hill Companies, Inc.
Development, Vol. 1 No. 1, 1993, pp. 16-19. National Manpower Steering Committee, Mbabane, 1987. See also: Manpower, Education and Training, International Labour Office, Geneva, 1987. Bedeian, A.G., Management, Dryden Press, Chicago, IL, 1986. Werther, W.B. and Davis, K., Human Resources and Personnel Management, McGraw-Hill, New York, NY, 1989. How to Train the Employees of the Company?